Join Tui, Tama and the Museum team for some spooky fun at the Spooktacular Halloween Party! Free entry, no registration required. Here at Te Awamutu Museum, kids can engage with all of our displays with Tui and Tama. 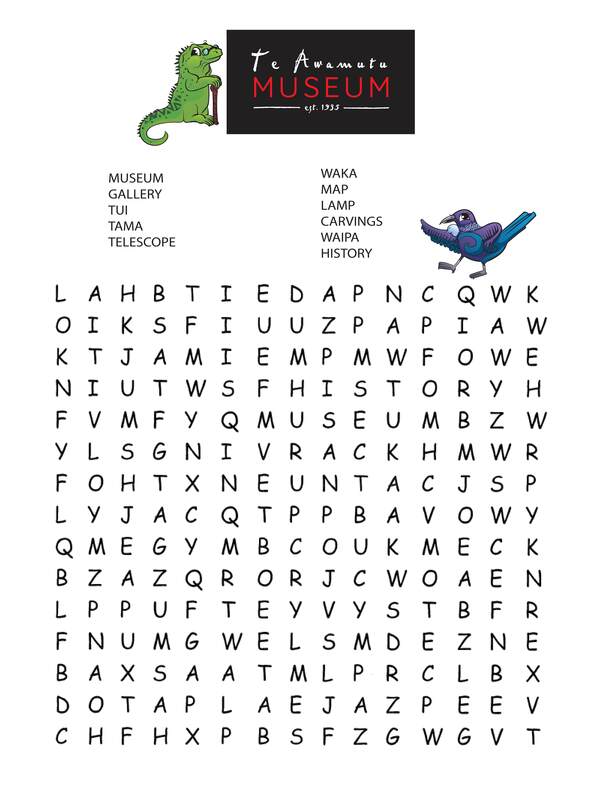 We have activity trails throughout the museum and Wahi Akoranga (The Learning Place) is where you can find colouring pages, jigsaws and other hands on activities for kids of all ages! There are stamps and stickers for those who find all the question marks, or finish the activity trail, and badges of your favourite character are available at the Front Desk for $2! Tui & Tama and proud to announce their Kids Club! Members get a sweet badge, quarterly newsletter, preferential registration of upcoming events and more! Click the link to sign up now, it’s totally FREE! 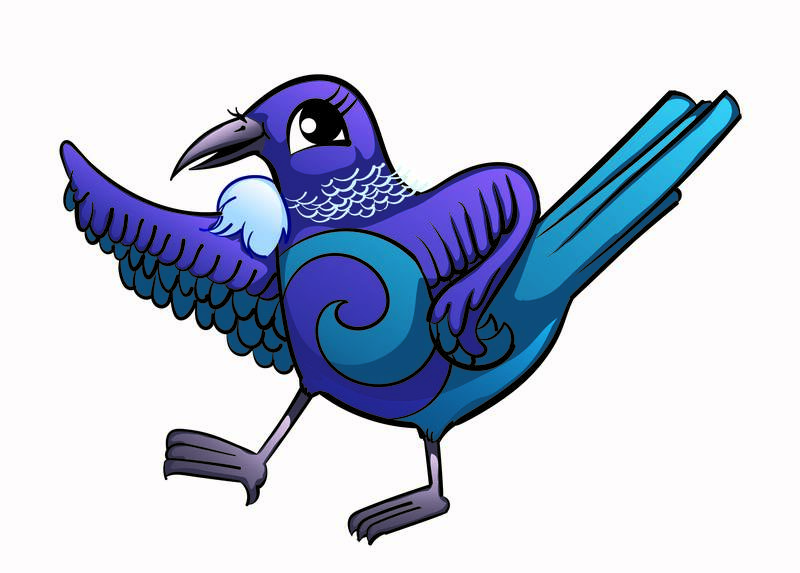 Tui, is a happy, chatty tui, who is just bursting with excitement to share her information with anyone and everyone! Sometimes she gets carried away and Tama needs to remind her of the museum rules! 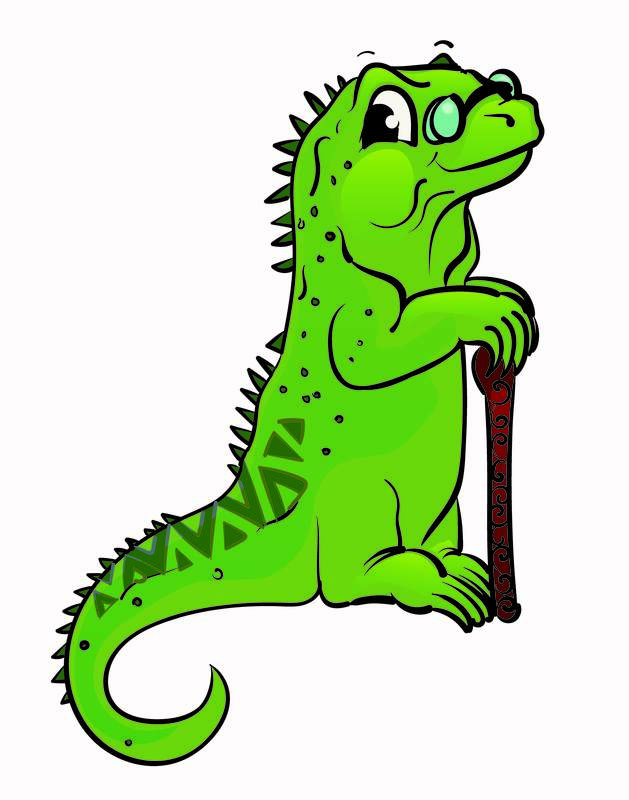 Tama is our wise tuatara. He knows all about the objects in the museum, and he also knows all the rules! The Tui & Tama Kids Club & Creative Workshops are initiatives of the Te Awamutu Museum. I give permission for my child/ren's images to appear in newsletters, pamphlets, webpage and other forms of media concerning the Te Awamutu Museum. Please include the child's full name, age and date of birth. Tui and Tama have been busy exploring the Museum, and they wrote down what they saw. Ask an adult to print it out for you and see if you can find all the words from their trip! Maybe you will see the same things when you visit the museum too!